The same system you use to create referrals, can also be used to receive referrals, and has all the features you need to get the job done. 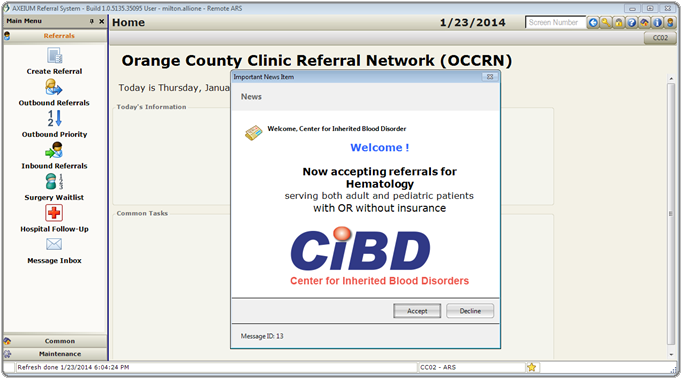 System messages and new service offerings can be displayed at login. You can follow the activity against a referral from cradle to grave, as well, receiving facilities can set up their own workflow end points.